This week we are glad to show you an app developed children affected by autism, cerebral palsy, down syndrome and other developmental delays. Through 10 learning games in one app child can train visual perception and organisation (puzzles), color and shapes discriminations (a balloon game, which helps develop awareness of colors and shapes, attetnion (a Find-It activity which works on discrimination skills), fine motor skills (Feed the Frog) literacy (a letters game), and learning games that focus on matching, patterns, squares and tracing. Most of the games have nine levels. One of Inijii streghts is that games automatically adjust their level of difficulty based on the child’s progress. 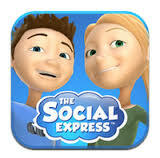 The finding of this week is called SOBE STORIES, an app designed to train social skills for the smaller kids. Though it is an app in english, is designed in a understandable way to any other language because to visualize the situations that happen is the only requirement needed. 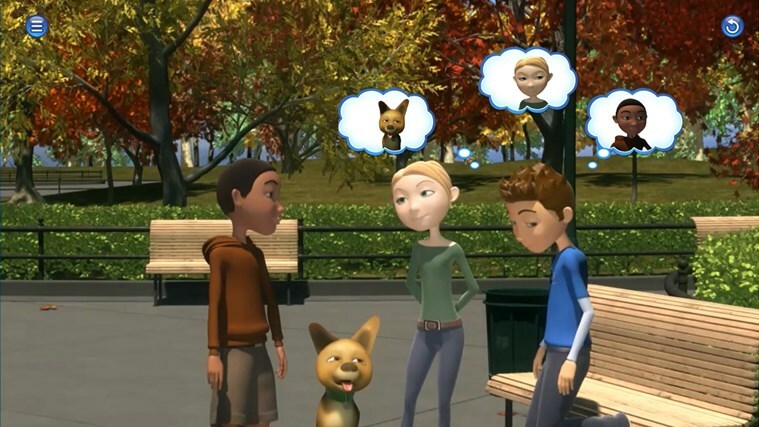 It allows user to choose the protagonist of the story, a boy or a girl, depending on the person who is using the App. After choosing personage, app presents 4 situations (be kind, be responsible, be helpful and be safe) in which the protagonist will have to choose how to behave in each of them. In case of choosing the incorrect one, there will appear a negative feedback (the child or the girl will feel sad and will cry). In case of choosing the correct one, the same thing will happen, but with the positive feedback, child will appear very satisfied. It is an application designed to improve children social skills and specially for children with a diagnosis of autistic spectrum disorder. It is totally free and it is available in Apple Store.